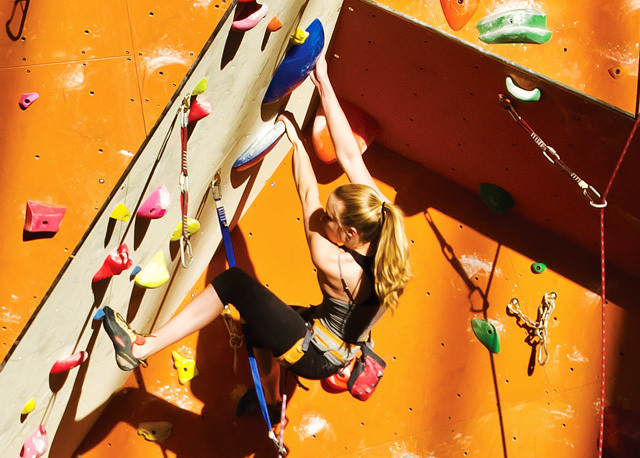 Whether you are a beginner or an advanced athlete, our world-class facilities have a climb for you. There is no minimum (or maximum!) age to climb, so climbers of all ages are welcome! 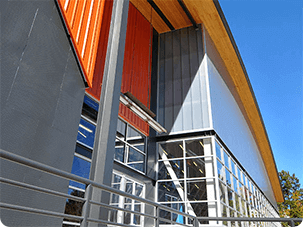 All memberships, Punch Passes and Day Passes include: Climbing, Yoga Classes, our full line of cardio and strength equipment, full-service locker rooms, towel service and free WiFi. 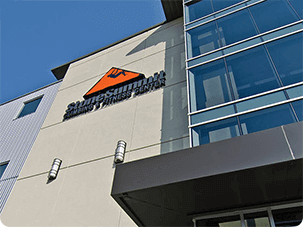 Each Day Pass grants one climber access to the facility and rental equipment for the entire day. No reservations are required! Aside from a Safety Orientation, no staff assistance is included. Great for: Participants of any experience level who want access to Stone Summit without a reservation for staff assistance. Note for beginners: Some climbing areas will be unavailable to beginner Day Pass participants. For more available climbing terrain with more structured scheduling, check out our Staff Assisted options. First time visitor? All new self-sufficient customers must participate in a safety orientation. 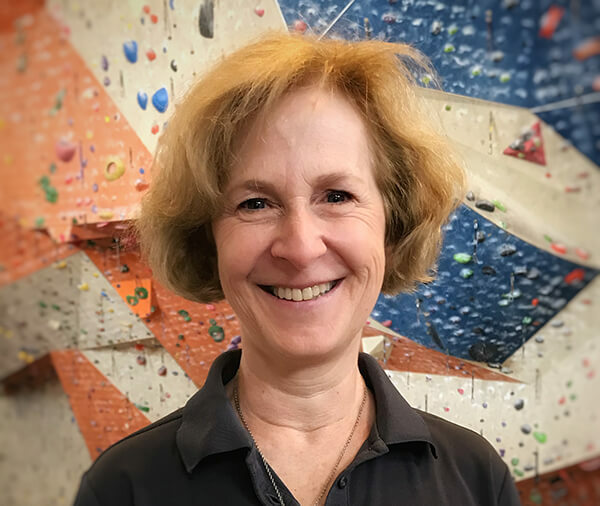 During this 1.5 hour class, we'll teach you how to hold the rope for the climber so that you and your partner can enjoy indoor rock climbing without staff assistance. Great for: Those who have little or no climbing experience but want to be able to enjoy Stone Summit without needing help from the staff. 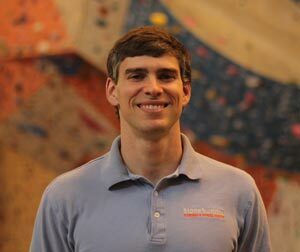 The belay lesson is $15 per climber and includes rental equipment and climbing for the rest of the day after the class. 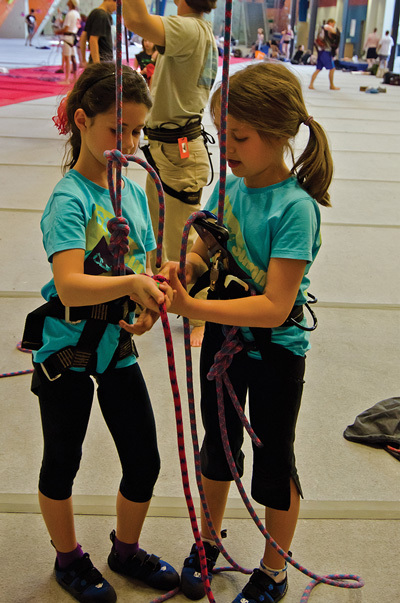 To sign up for a Belay Lesson, select your location below. *All punchcards include gear rental. Punchcards expire one year from date-of-purchase. College students 24 years of age or younger: must show current class schedule to qualify. residence and must be legally or biologically related. *EFT (auto-debit) Monthly Memberships require a $50 start-up fee or 4-month commitment for most customers. Included with the cost of your Membership, Day Pass, or Punch Card. Only offered at our Atlanta and Kennesaw locations. First come, first served, as space is limited. With an emphasis on spinal and pelvic alignment, Pilates helps develop core strength and torso stability and improves balance, coordination, and flexibility. Intensity can be increased over time as your body adapts to the exercises. Strengthening your abdominal muscles is a great benefit to climbing but these muscles are some of the hardest to target. Our Abs Class solves the problem with focused instruction on proper technique and effective methods. Beginner Yoga introduces the yoga basics: posture, poses, breathing and focus. This class is a great way to start your yoga journey. Technique Yoga focuses on proper form and breathing, improving and expanding upon the methods learned in the beginner class. 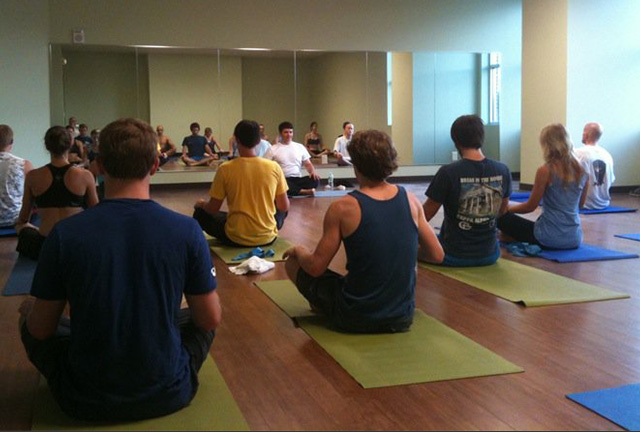 Power Yoga, our most challenging course, focuses on improved strength, endurance, flexibility, and muscle tone. This advanced-level class requires previous yoga experience. Learn to hold the rope for a climber. 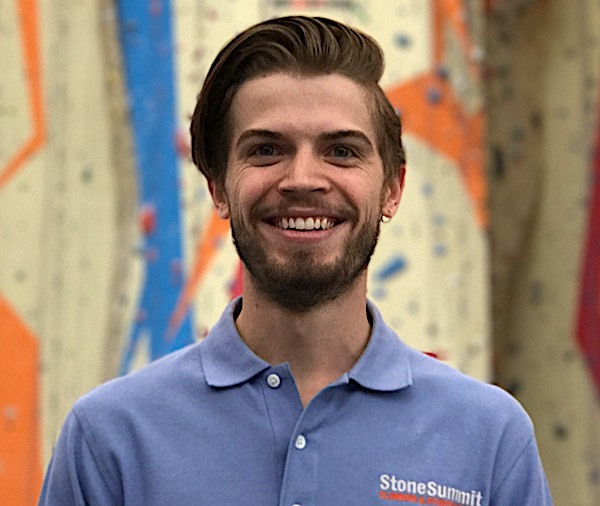 Bouldering Basics will introduce you to the fundamental climbing techniques of indoor bouldering. 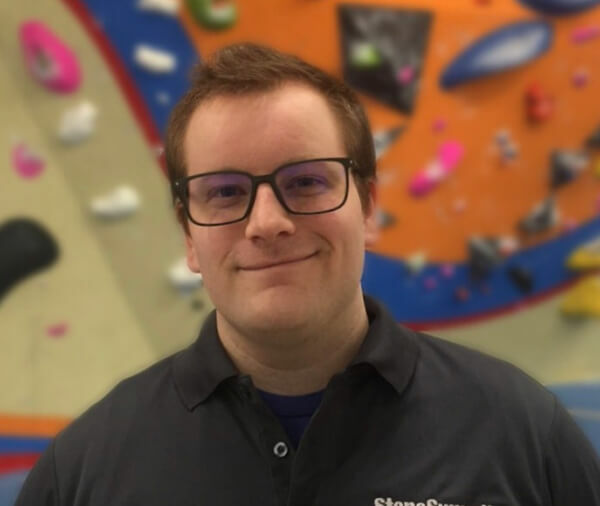 Whether you are new to bouldering or seeking to hone your skills, Bouldering Basics will teach you the building blocks sure to improve your technique. The class uses a set curriculum that focuses on body movements, fall technique, and etiquette. Class size is limited to allow for hands on demonstrations and personalized attention for each participant. Participants must be 12 years of age or older. Reservations recommended. Cost: Free with day pass, punch card or membership. The Lead Class will teach you all the skills needed to lead climb in the gym, including proper clipping technique, rope management, and lead belaying. Must be top rope belay certified, climbing at a 5.10 level or higher, and 18 years of age or older (USA Climbing competitors in the Youth B category or higher may sign up, but the first two prerequisites still apply). No exceptions. Reservations required. Payment in full is required to reserve your spot. In the intermediate to advanced class participants will learn: warm up, body positioning, footwork, efficiency techniques, route reading, styles of movement, and train the various aspects of climbing that are important to pushing through plateaus! 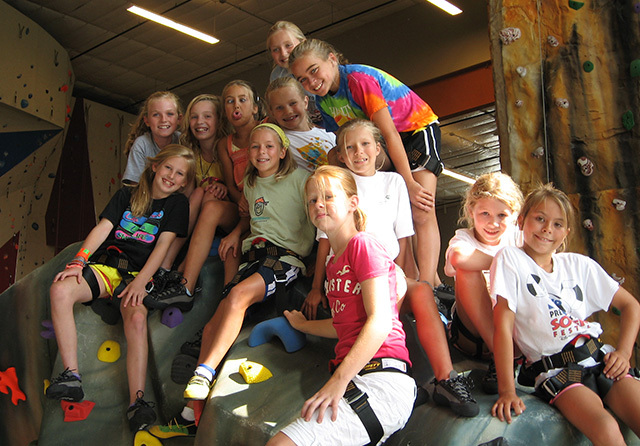 For your child's next birthday party, invite all his/her friends to a climbing adventure they will not forget. 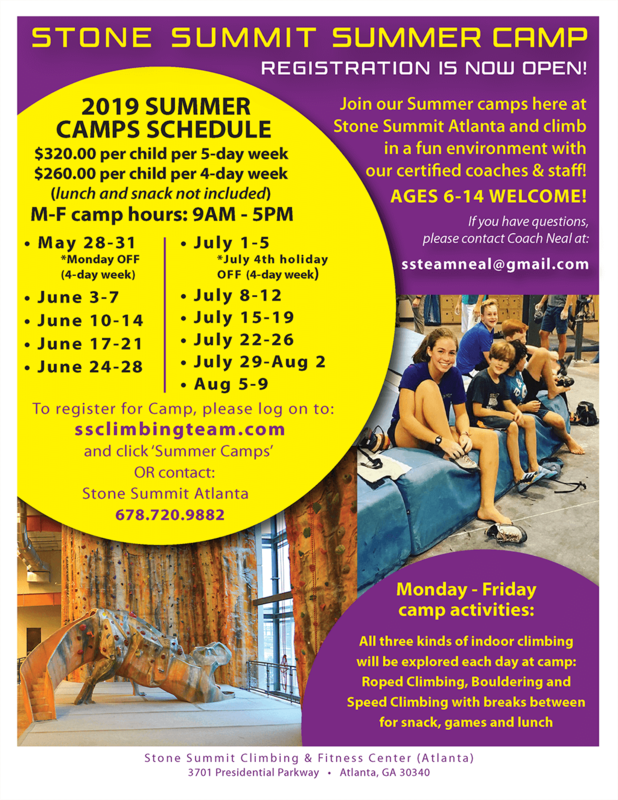 With reserved party rooms adjacent to beginner climbing walls and lounging areas for parents to relax and enjoy the fun, Stone Summit provides the ideal backdrop for your child's birthday. Interesting in hosting a lock-in or other special event at Stone Summit? 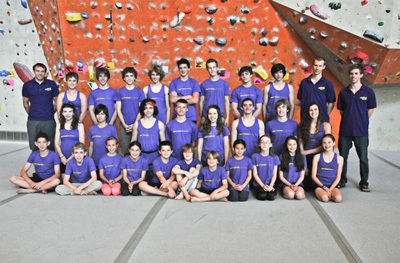 Are you enthusiastic about climbing and interested in working in a fun environment? If so, we'd like to talk to you about joining our team. Wondering what your child will be doing while school is out? We have the perfect way to burn off their extra energy while teaching them new skills and improving their climbing abilities. We offer summer and winter camps. 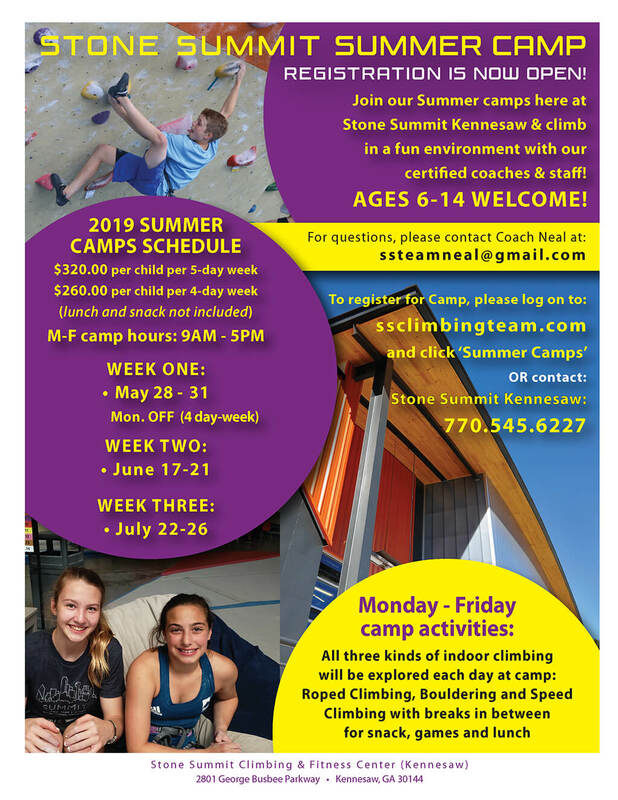 To sign up for a Summer Camp, select your location below. 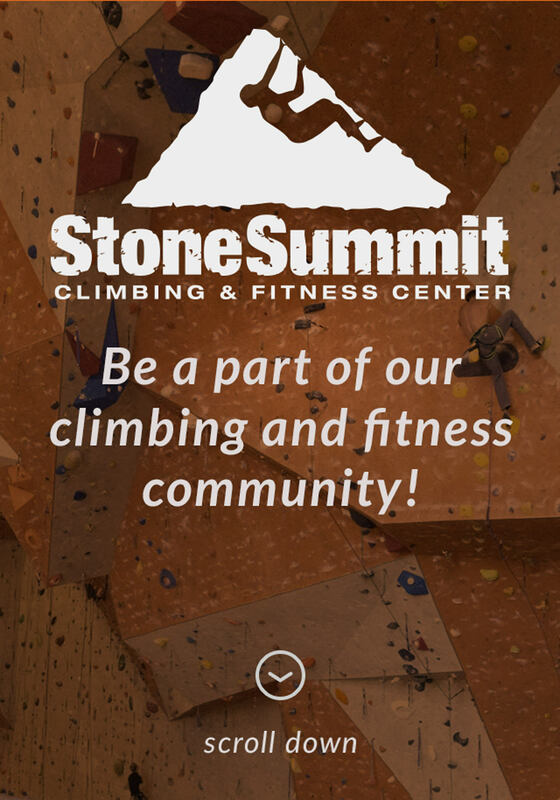 A Stone Summit Gift Certificate is the perfect gift for someone looking for a new adventure or a climber who wants to advance their climbing abilities. Our gift certificates never expire and are redeemable for any Stone Summit location for any of our products, services or classes - so they'll get exactly what they want! Clicking the button above will open a new window. Questions? Please call either of our locations for assistance. Reach out to one of our locations. 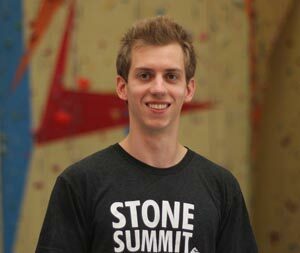 Co-Owners of Stone Summit Climbing and Fitness, Daniel and Daron both possess a passion for climbing. In the early 2000’s, Daniel was a routesetter and coach. 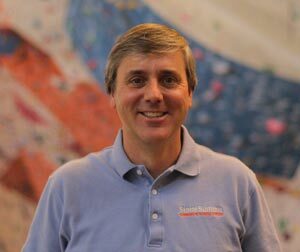 Concurrently, Daron, as the father of two competitive climbing children and an avid climber himself, became involved in the climbing community. While traveling the country for competitions, Daniel and Daron envisioned their own gym; a gym with world class facilities that would advance the sport. 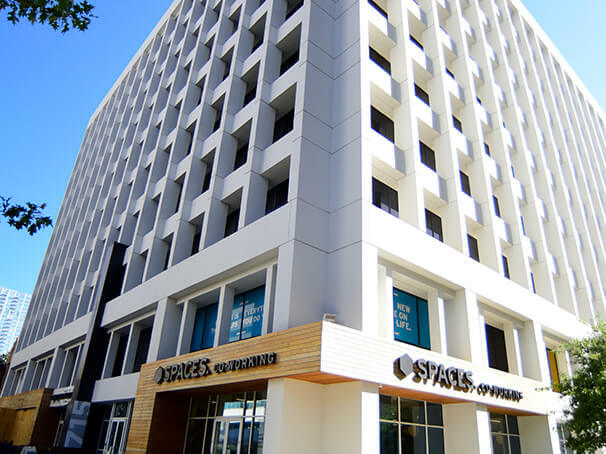 In 2010, Daniel and Daron’s gym vision was solidified with the opening of Stone Summit Atlanta.